The Radiation Undersuit uses 300 gram anti-pilling Quick Dry fleece to provide superior warmth and insulation beneath the drysuit outer later. 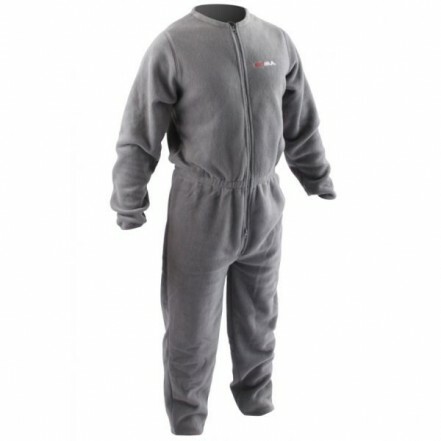 The Radiation Undersuit fleece features a full length two way zip for ease of entry, whilst elasticated wrists, back and ankles allow a snug and tailored fit, and foot loops keep your fleece in place during movement. Quick-Dry breathable polar fleece for warmth and comfort. Elasticated wrists for snug fit. Thumb loops for ease of donning. Elasticated back for tailored fit. Foot loops to prevent garment riding up during movement.